Porsche is one of the first car makers in the world to offer the opportunity to connect its vehicles with the Apple Watch. As a result, drivers can now access Porsche Car Connect functions even more conveniently, without having to reach for their iPhones. However, the Apple smartphone still continues to manage communication with the vehicle and integrates the Apple Watch as an additional display and control element. 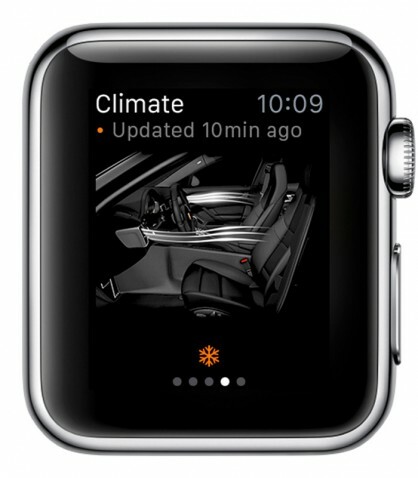 The Apple Watch provides information on the vehicle status and allows certain vehicle functions to be monitored and controlled by tap and gesture input. The “remote” display, for instance, visualises whether windows, doors, boot lid and sunroof are closed; the vehicle can also be locked if necessary by pressure of the finger (“Force Touch” function). The “Carfinder” function shows the location of the car, while the navigation function guides the driver to the position of the vehicle if required. As soon as drivers are in the vicinity of their Porsche, they can easily identify it on a full parking lot or in a multi-storey car park with the functions to sound the horn and flash the lights. The key comfort functions of the plug-in models can also be monitored and controlled via the Apple Watch. 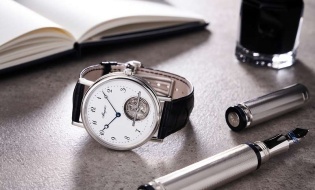 A brief glance at the wrist is all it takes to check charging status, range and residual charging time. In the “Climate” menu, drivers can activate the preconditioning function with one tap of a finger. Integrating the Apple Watch adds a new level of individuality and comfort to communication between driver and vehicle via Porsche Car Connect. Porsche Car Connect uses the mobile telephone network and thus permits communication with the car over any distance.